I recently came across an essay that reviews (and attempts to refute) various lines of evidence for common descent. This post addresses the arguments raised in the essay. This is quite a long post, but for those who enjoy detail and want to look into this things more deeply, hopefully you’ll appreciate it. The “TL:DR” is this: The essay seems very convincing on the surface. A lot of nitpicking and assertions. But when one actually explores the details, the essay is poorly researched, misquotes other studies, and makes a number of basic errors. The end result is that none of the points discussed in the essay actually build a case against common descent at all. Let’s begin by addressing the section on Comparative Morphology. Comparative morphology (also known as comparative anatomy) is the study of similarities and differences in the anatomy of different species . In this section the essay seems to have confused two concepts – homology and convergence. Homology always arises from common descent. It is the “correspondence, determined by their relative positions and connections, of organs in different organisms, which is indicative of affinity; the cause of this correspondence is inheritance from a common ancestor” . In other words, homology refers to the evolution of particular organs or anatomical structures through successive generations of descendants. Convergence is “Evolution of superficially similar characters by different developmental means in different population lineages. In diagnostic tests of homology, it passes the conjunction test but fails tests of similarity and congruence” . This term is used to describe features that appear similar, but these similarities have arisen through other means, NOT by common descent. For example, bats and dolphins both have echolocation abilities because of the ways in which their hearing systems are able to process high frequency sounds . There is no “traditional, more general sense” when discussing morphology, and it’s poor form to change the meaning of a term to suit one’s argument. Homology is not used to describe convergence because they are two very different concepts. If a feature is homologous – it is because of common descent. If a feature is similar – but in different clade – then it is termed ‘convergent’. Therefore, the comment made in the essay doesn’t make sense, because comparative morphology is merely a field of study, and will not of its own accord prove common descent. When morphology seeks to understand the reasons for an anatomical feature, some aspects might infer common descent (homology), others require different explanations (such as convergence). The essay also alludes to design. This is a slippery path to tread. That God is the “master-designer” is beyond dispute. But what exactly did God design, and where did God let nature run its course? There are numerous examples of some very suboptimal features in nature, and there are some examples of some very vicious and malevolent features in nature. We need to be very wary of exactly what we attribute to “God’s design”. Perhaps that is a topic for a later post. To conclude this point, the arguments raised in the essay do not disprove of findings of homology (similarities arising from common descent), or of convergent evolution (similarities arising from other means). They are two very different concepts under the broader subject of morphology. Next, let’s consider the comments on Embryology. The essay is correct in noting that Haeckel’s drawings are fake. Ernst Haeckel (1834-1919) was a morphologist who followed Darwin in advocating the inheritance of acquired characters and in emphasising the importance of comparative embryology as evidence for evolution. In the larger academic community Haeckel’s grandiose ideas were seen as excessive speculation, even though they were based on the remarkable similarity of that does exist at early embryonic stages among related organisms, such as the vertebrates. Haeckel “exaggerated” certain features on his drawings to prove certain points he was trying to make . That Haeckel’s drawings are fake has been well known for over 100 years, so it is hardly news in the academic and scientific community. The only groups who still seem to get any mileage out of this are the Creationist and Intelligent Design communities who haven’t yet moved on. Poking holes in Haeckel’s work is not new. It’s been done repeatedly in the scientific literature, and it does not impact modern evolutionary biology . However, what should not be overlooked, is that the similarities between vertebrate embryos are real, and we would do well to distinguish between observations of those similarities and hypotheses about their causes. Haeckel’s hypothesis was one of those that incorrectly explained the causes. But the fact remains, the similarities are not in doubt; and while there are many studies into the degree and timing of the similarities, none question their overall existence . When considering the history of embryology, it is worth noting that it had become ignored by evolutionary biologists by the 1900s, and was not considered when bringing together the various divergent views during the Evolutionary Synthesis period of the 1930s & 1940s. However, it is among a host of phenomena in comparative biology (e.g., systematics, morphology, embryology, genomics) that may seem inexplicable or anomalous but, if explored in detail, can be explained by the hypothesis of descent with modification . That being said, modern embryology is a rich and diverse field. So while it is not used as a means to explain common descent, it will encompass a number of phenomena that only make sense the light of common descent. This conclusion has two erroneous assumptions. Firstly, as we saw in the previous post on comparative morphology, some aspects of comparative morphology can ONLY occur because of common ancestory, whilst others expressly rule out common descent between certain species. Likewise, in this instance to say “embryology fails to establish a pattern of common descent” is misleading and wrong because it doesn’t take into account the whole picture. It’s typically not a discipline that one would explore to prove this. That being said, common descent is the most useful explanation for a number of the observations within embryology. Secondly – and more importantly – the assumption that macro-evolutionary changes will occur during early development really does show a lack of understanding about the subject. Subtle changes occur over time, across successive generations. One wouldn’t expect to look at an embryo, and see macro-evolutionary changes! The Princeton Guide to Evolution states, “microevolution on species within communities generates new species and modifies the traits that species possess and so provides the material that drives macroevolutionary changes. These changes, in turn, will affect the course of future evolution” . In other words, Macro-evolutionary changes are no different to micro-evolutionary changes, and are simply a long-term collection of smaller changes that have occurred over extended periods of time and generations. Again, from the Princeton Guide: “Macroevolution. Evolution occurring over very long periods of time or across more than one species, in contrast with the short-term microevolutionary changes in populations from one generation to the next” . So, in short: macro-evolutionary changes are not going to be found within embryos, nor any other stages of a single animal’s development, which makes the conclusion in the essay nonsensical. 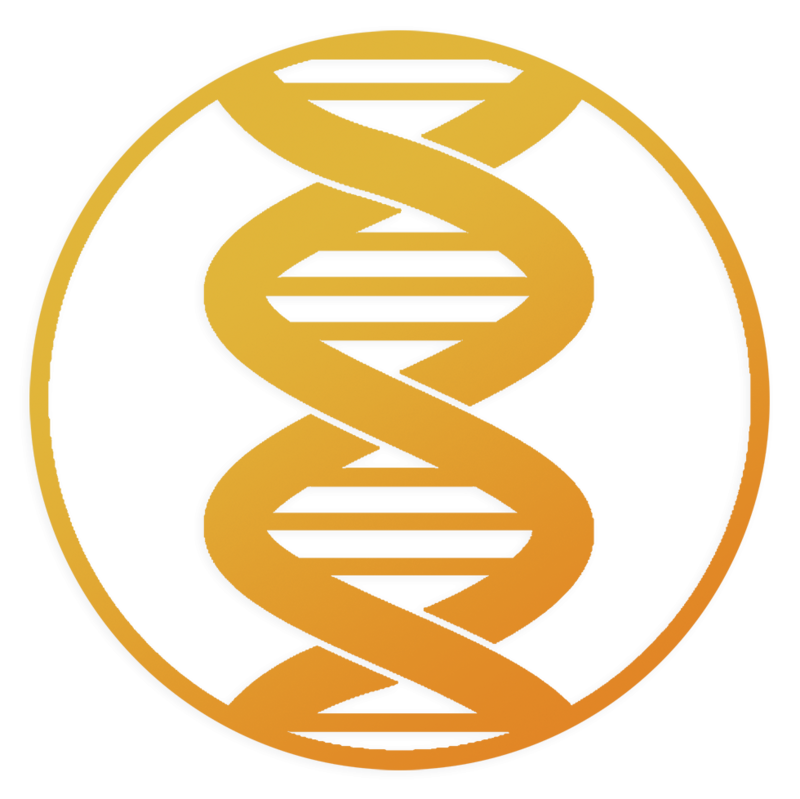 In this section, the essay seems to be concluding that because there is conflicting evidence in molecular biology, universal common descent is not a proven concept. The bulk of the essay’s argument in this section has been based on an editorial/news article from Nature magazine that was written before the human genome was fully sequenced. Context is everything in cases like this. The point being made in the Nature editorial article, is that when analysing historical evidence, different lines may adopt different conclusions. Palaeontologists might study bone structures (morphology) and form conclusions, whereas molecular biologists will take a different (molecular) angle, and draw different conclusions. So with regard to the picture provided (labeled Figure 3 in the essay), let’s consider two points – one a higher conceptual level, the other at a more detailed level. Firstly: If there is disagreement and the position of various species in the lower branches of phylogenies, it simply implies there is some debate about who precisely is the common ancestor between certain clades. It does not imply common descent did not happen. So in Figure 3, while Collard & Wood (the original authors of the study that picture comes from) might raise questions about the order of ancestry between human, chimpanzees, gorillas and orang-utans, there remains a common ancestor above these species . Therefore, this does not disprove common descent. Secondly: The Collard & Wood paper was published in 2000. The human genome was finally mapped and announced in 2003. Another paper published in 2004 discussed how newly found genomic data could be used to build more accurate phylogenies . While it is true that there is still some uncertainty, it must be remembered that conflicts within the metazoan phylogenetic tree are to be expected given the paucity of some fossil data, the fact we are dealing with the origin of phyla (i.e. which happened hundreds of millions of years ago), and the fact that after hundreds of millions of years, convergence can have an impact in reconstructing phylogenies. In other words, reconstructed morphological and molecular and fossil trees are always going to be approximations to the actual real tree of life. Going this far back in time, conflicts about some of the details are going to exist, but the broad consensus remains sound . To expect there to be an “all-or-nothing” answer to this question is to grossly misunderstand this topic, and was the downfall of the Intelligent Design movement a few years ago. We would be well advised not to make the same mistake. For those who would like to understand more of this, there is an excellent analysis here. Perhaps the most ironic part of this topic, as that thanks to the advances in molecular biology and genomics over the last 15 years, we now stronger proof than ever for common descent. There is a good summary on the topic here. So context and detail is everything. Just because there are conflicting interpretations about the details of some phylogenetic branches, these do not invalidate the whole tree. Nor do they invalidate the growing body of evidence from molecular biology that DOES prove common descent. In concluding this section, the essay asserts that the Genetic Code generates problems for common descent, because Dawkins says “the genetic code is invariant”, whereas NCBI lists 24 variants other than the “standard code”. Dawkins’ views on this are not shared by other biologists. For example, Larry Moran, who is one of the world’s foremost biochemists says, “It’s unfortunate that Richard Dawkins repeatedly makes such an issue about the tree of life because he’s on shakey ground when he does that” . The fact that there are slight variations in the genetic code does not generate problems for common descent, and in fact some of the variations were even predicted. For instance, in 1957, nearly ten years before the genetic code was finally solved, an influential paper was published concluding that all overlapping triplet codes were impossible if the code was truly universal . The reason that these genetic code variations are immaterial to common descent, is because they relatively are minor, and appear at the base of the evolutionary tree (eg. in mitochondria and bacteria) . In short, just because there are variations in the code, this does not invalidate common descent, nor does it present any problems for evolutionary biology. In the essay, the Human-Chimpanzee Similarity section concludes with a somewhat sarcastic reference to God (or the devil) being in the details. It’s an ironic concluding remark, especially when one considers the essay in the light of the details of this topic. “The human has twenty-three pairs of chromosomes, but the chimpanzee has twenty-four. The difference in the chromosome number appears to be a consequence of two ancestral chromosomes having fused together to generate human chromosome 2… the sequence at that location – along the long arm of chromosome 2 – is truly remarkable. Without getting into the technical details, let me just say that special sequences occur at the tips of all primate chromosomes. Those sequences generally do not occur elsewhere. But they are found right where evolution would have predicted, in the middle of the fused second chromosome. The fusion that occurred as we evolved from apes has left its DNA imprint here. It is very difficult to understand this observation without postulating a common ancestor.. The essay then states, “Collins does not say what his ‘special sequences’ are, but the most likely candidate is something called “Interstitial Telomeric Sequences” or ITSs. Unfortunately for Collins, they are not located at the exact breakpoints between chromosomes, and ‘were present before the reorganisations occurred’ ”. It is unfortunate that the author didn’t actually read the article he quotes . It is true, that the article discusses how certain ITSs were not found in the expected places, however, it does not disprove human-chimpanzee similarity in the slightest. Let’s examine the details. Firstly – what is an ITS? A telomere is a specific sequence that occurs at each end of a chromosome. (A centromere is a specific sequence found in the centre). An Interstitial Telomeric Sequence (ITS) occurs for a variety of reasons – but it happens when remnants of a telomeric sequence are found between the centre (centromere) and the end (telomere) of a chromosome. In this quotation, Collins doesn’t mention the “special sequences”, but he would not be referring to ITSs, because they are not “special sequences that occur at the tips of all primate chromosomes” as the author implies. What Collins is most likely referring to, is fairly common knowledge in genetics. Every telomere in human and great-ape chromosomes has the six base-pair sequence “TTAGGG AATCCC” repeated over and over about fifty to one hundred times (the number of repeats varies between the different chromosomes) . Seeing this sequence in the middle of the chromosome was the clue that helped scientists realise that human Chromosome 2 had fused. But… it was not merely the *remnant* of a telomeric sequence, but two complete ends – head to head – demonstrating that two telomeres (and therefore 2 chromosomes) had fused. As a result of this fusion, the site where this fusion occurred can be considered an ITS (a fusion ITS) as it is a telomeric sequence in the middle of a chromosome, but it is NOT the ITSs that are being studied in the Farre, Ponsa & Bosch article. So in short, the article discusses the positioning of *short ITSs* that occur in human and chimpanzee genomes, but completely supports the fusion point between human and chimpanzee chromosomes. On another matter of detail, the essay states, “Speaking of chromosomes, one study found ‘radical’ differences between human and chimp Y chromosomes both in gene content and overall structure”. Firstly, the human Y-Chromosome is about 59 megabases . (The study was based on 25.8). Secondly, the human genome is roughly 3,000 megabases, so 25.8 represents less than 0.8% of the total genome. 0.8% hardly constitutes the ‘radical differences’ the author is trying to portray. This section of the essay really brings home the importance of checking the details of what we comment on. Poor research that overlooks fundamental details does nothing but discredit our efforts to be seen as a community that embraces truth. I am reluctant to comment in too much detail on this section, simply because the essay really is not clear on what points it’s trying to make, and has not clearly articulated precisely why these arguments refute common descent. Without clear arguments to discuss, the best one can do is to make some high-level assumptions, based on how these arguments are used in other sources. The section on germ cell formation barely makes sense, so it is hard to know precisely how this argument refutes common descent. However, the conclusion that germ cell formation had to arise anew on many occasions for common descent to be true is not correct. Studies have shown that although preformation is seen in most model organisms, it is actually the less prevalent mode of germ cell specification, and that epigenetic germ cell specification may be ancestral to the Metazoa. This would indicate preformation is an adaption of epigenetic specification, and not something that would have needed to occur ‘anew on many occasions’ . The argument about orphan genes remaining a problem for common descent is simply not convincing at all. The essay quotes examples of the Leafcutter ant, the Argentine ant, and the de novo genes in the human genome, and then draws the conclusion that because orphan genes exist, they must have arisen from scratch, and this is something that “boggles the mind”. Just because something boggles our mind, or we don’t understand it, is not proof that it didn’t happen. Science requires more definitive answers than incredulity, and because the essay doesn’t provide an explanation for why these phenomena disprove common descent, it’s hard to comment too much further. Genetic proof for common decent is based on the genetic sequences that CAN be traced between the species. The fact that a specimen may have genes that are restricted to its own taxonomy does not disprove the common sequences that do occur between species. The argument about patterns in the fossil record also lacks sufficient evidence to prove any particular point. Yes, it’s true that there was a “Cambrian Explosion”, but it lasted significantly longer than 5 million years. The Cambrian Explosion does present a number of challenging and important questions, and no-one disputes this, even though our knowledge and understanding of this period has improved greatly over recent years. But nothing about what happened during this time undermines or disproves common descent. . The fact remains, patterns in the fossil record provided the strongest evidence for evolution before genetic studies opened a whole new realm of evidence. Just because 2 palaeontologists have concluded that evolution occurred differently in the past, does not imply it did not happen. Without any specific examples, the top-down vs. bottom-up argument is so poorly made in this essay that it is hard to know precisely what point is being made. The closest I was able to find on this topic is an argument popular within Intelligent Design circles, and is based on a misquotation by particular author called Jonathan Wells. For more information see here; here; and here. As this post has shown, the arguments raised in the essay are based on misquotations, misrepresentations, and poor understanding of the subject matter. When considered in their proper context, not one single argument in this essay disproves common descent. As a community that bases its standing on “truth” – and calls its beliefs “The Truth” – we are bringing tremendous discredit upon ourselves by presenting essays that contain so much error. Nor are we teaching wisely.